The announcement by the state cabinet allocating Rs 345 crores for the first phase of the suburban rail project came as a major boost. BENGALURU: The announcement by the state cabinet allocating Rs 345 crores for the first phase of the suburban rail project came as a major boost for supporters of the #chukubukubeku campaign. Advocates and experts of commuter rail feel the project is finally heading in the right direction and has received the required impetus from the state. Now, the ball is in the court of the Ministry of Railways. It has been over 12 years since the demand for a suburban rail across the city came up. In the past few years, it gathered momentum, compelling the state government to take it forward. In October 2013, the state government had sent out a proposal for suburban rail to the railway board. “In principle, the project was approved in 2013, only fund allocation was pending. This is a good beginning for the project. I would like the Railways to respond to this and lend its support. 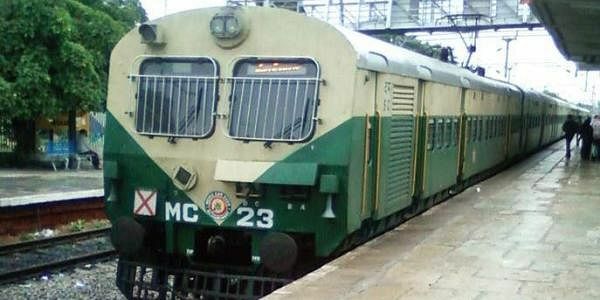 We had a lot of expectations from the Railway Minister in the budget as far as fund allocation was concerned, but nevertheless, it is a welcome step,” said Srinidhi, another advocate of commuter rail. While the existing tracks can be used for the project, supporters of the project say 58 percent of the total investment will go towards upgrading railway infrastructure and doubling of tracks, which, in turn, will help the Railways run more intercity and goods trains. “Track doubling between Hosur and Yeshwantpur and quadrupling between Whitefield and Bangalore City is pending even now. Railways should allocate primarily in procuring rakes and that is where it will make the difference,” he added.